In the last few days, I have been involved in a couple of discussions over what has amounted to little more than semantics. People have been concerned about what some words mean and the usage of them. One way to illustrate all of this is to look at the story provided by Beverly Bean, whose father, Melvin Brown told family about his involvement in the Roswell case. I am using the short section about the Melvin Brown that appeared in Roswell Revisited to help clarify this point. I believe that people reading The Truth about the UFO Crash at Roswell understood perfectly that we hadn’t interviewed Brown himself, but that the information came from family members we did interview. The footnotes provided the information about how we had gathered the data. In fact, it is clear from other sections of the book that the information didn’t come from Brown himself, but from his daughters and wife. Only those with half a brain didn’t get it and there are plenty of people out there like that. Here’s where we are on this aspect of the case. I wrote in Roswell Revisited that Beverly Bean is a pleasant English woman, who told researchers about her father, Sergeant Melvin Brown (Yea rbook picture seen here), who had been stationed at Roswell in 1947. 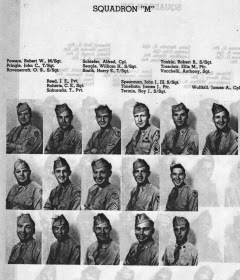 Unlike some of those who have told stories about Roswell, Brown is in the Yearbook (just like a high school yearbook that contains the pictures of about 80% of everyone assigned to the base) that Walter Haut created in 1947. It is a document that allows us to verify that a soldier did, in fact, serve at Roswell during the critical period without having to gather information from the records center in St. Louis. Like so many of the others, Brown didn’t tell his story to investigators and it didn’t surface until after Jesse Marcel began talking of the crash in 1978. Interestingly, one of the documents offered by Bean to prove her father served in Roswell was an order with several names on it including Jesse Marcel. In a video-taped interview conducted in England by Brad Radcliff on January 4, 1991, Bean said, "Dad used to tell us this story and he didn’t tell us often." He told his daughter, according to what she said on tape, that he "had to go out into the desert. 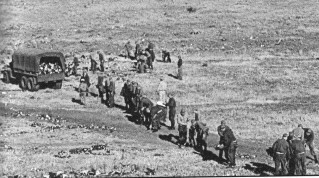 All available men were grabbed and they all went out into the desert in trucks where a crashed saucer had come down." Brown and another soldier whose name he never gave to his daughter, were pulled aside for guard duty. They were told not to look under the tarp in the truck, but Bean said, laughing, that the minute someone tells you that, the first thing you do is take a look. She said that he dad told her, "He and this other guy lifted up the tarpaulin or something..."
She said that she and her sister now argue about the number of alien creatures under the tarp. Bean says it was two, but her sister insists that it was three. No matter now. The point is that Brown described the creatures for them. According to her, "He said they were smaller than us, not more than four foot tall... much larger heads than we have. Slanted eyes and [the skin was] yellowish." Bean wondered if he had been scared but he said that he wasn’t. He thought they had nice faces and they looked as if they would have been friendly. According to Bean, he repeated that as often as he told the story, which, over the years was fewer than a dozen times. Bean, of course, sometimes pestered him for more information. After the release of Close Encounters of the Third Kind, in 1977, she asked him about the movie and how authentic it might be. He said that it was the biggest load of crap he’d ever seen and not like the real thing at all. When she tried to learn more, he told her, "That’s all I can tell you. I can’t tell you anymore." The late Karl Pflock, in his book, Roswell, Inconvenient Facts and the Will to Believe, complained that Bean’s story was second hand and that neither her sister nor her mother would comment on it. Pflock had to know that both the mother and the other daughter had confirmed the tale because he had access to the video tapes of those 1991 interviews. He is right about this being a tale told by the daughters and wife of the man who lived it. There is nothing that can be done about that. By the time Brown’s name surfaced in the investigation, he had died from complic ations of various lung diseases, but it is not true that his wife or other daughter refused to talk. 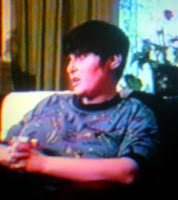 Ada Brown (seen here) added little to the complex tale told by Beverly Bean when she was interviewed on video tape in 1991. She merely confirmed that she too had heard about the crash over the years and that it was something from another world. She seemed a little uncomfortable sharing a secret left by her husband. 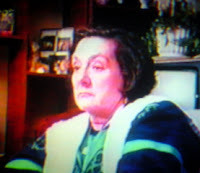 Bean’s sister, Harriet Kercher (seen below), on January 4, 1991, was also interviewed on video tape. She had heard her father tell his tales a couple of times when Beverly was there, but there was one incident when Beverly was absent and her father gave her just a little more information. Kercher, in her early teens said that she was with friends when she saw something flash by. Her friends saw it too, and then, in the distance, that something reappeared and seemed to be coming at them. Kercher said they were frightened by that shiny object but they weren’t far from her house so they ran there, slamming the door behind them. Her father met them and asked them why they seemed to be in such a panic. Kercher said that her father, after hearing the tale of the shining object, told her, "It’s nothing to be frightened about." The friends didn’t understand, exactly, what he meant and he told them about the crashed flying saucer, saying that there were a few bodies on it. He provided few new details. He just made it clear that there was something about the creatures that suggested to him that they were not to be feared. But, as Pflock said, these were second-hand reports and they could be the misinterpretation of the original story... It is not proof, or even a suggestion of proof of something extraterrestrial. What this shows, simply, as that I have been fair with the reporting of this story. It is clear from this that Brown told us nothing himself. In my previous books, it was clear that Brown had died before any of us had a chance to interview him. By lifting quotes out of context it looks as if I had tried to mislead the reader. The truth is, all the information was there for the reader so that he or she could decide the merits of the information for him or herself. Milton Sprouse, 86, (seen below) spent ten years as a soldier stationed at the Roswell Army Air Field, and yes, he was there in July 1947 when the UFO crashed. Sprouse’s name surfaced recently when he was interviewed by Gary Warth of the North County Times. I talked to Sprouse the other day so that I could clarify some of the questions I had about what he had seen and who he had talked to. I asked him if he had seen anything personally and he said, "I did not. I was a crew chief on a B-29 and I had to stand by my airplane in case it needed to fly." He said that he had been in Tampa, Florida for three days and had returned on the day that it happen. That was when his friends told him about the crash. But he said that a number of his friends were taken out to what I think of as the debris field and participated in the clean up there. Sprouse suggested that about 500 soldiers were on that field, moving shoulder to shoulder and picking up everything they could find (Recreation for the Showtime movie Roswell, seen below). He said that these men hadn’t seen the bodies because they had already been removed, and they didn’t see a craft. He did say, "There were big pieces... up to twelve inches or bigger all over that ranch. But they didn’t recognize what any of it was." He said that they laughed about the weather balloon explanation. He said, "I’ve seen weather balloons. 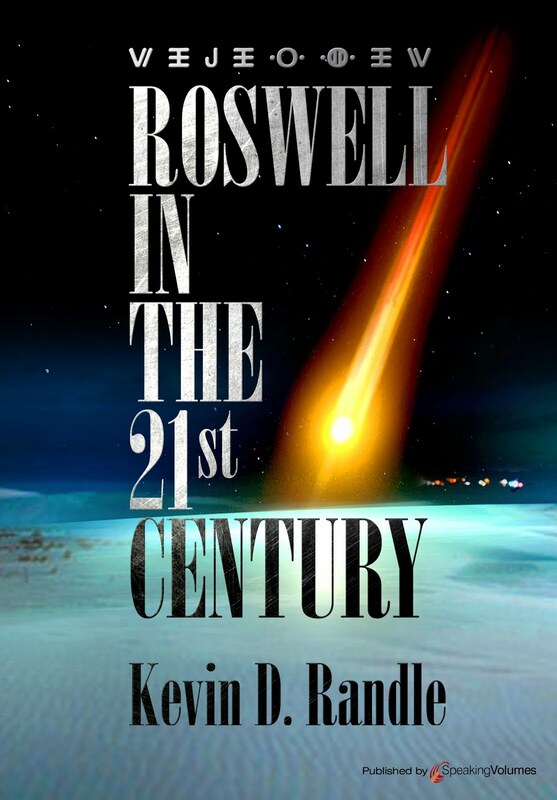 They’ve been launched all around my airplane there at Roswell many times." Which suggests that nearly everyone in Roswell would be familiar with what a weather balloon looked like and it seems unlikely anyone would be fooled by such debris. One of this friends, a barracks buddy, had been a medic and had, one night, been called to the hospital. Sprouse said, "I lived in the barracks. I was single at the time... One of the barracks buddies was a sergeant and he worked in the Medics. He lived in the barracks. And he got a call to report to the hospital and he went up and when he come back he said, ‘You wouldn’t believe what I been through and what I’ve seen.’ He didn’t have too much to say about anything because they told him not to talk about everything and we didn’t get much from him but later on he did say he was one of the few enlisted there and there were two doctors and two nurses in there. And of course he left right after that incident and never said good-by to us or nothing." 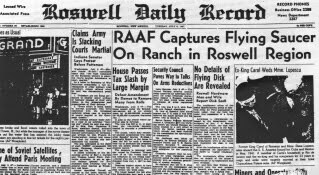 Sprouse also told me that had recalled all the newspapers, meaning the July 8 edition of the Roswell Daily Record in which it was reported that a flying saucer had been found, were picked up by the officers (Front page seen below). He said, "They gave that story out first from the base. Walter [Haut] gave it out. Blanchard and Ramey must have okayed it because they gave it out and they printed the paper and then that’s when they recalled it, recalled all the papers and denied it and brought in that weather balloon." There are a few problems with Sprouse’s story. First is that he can’t remember any of the names of those who went out onto the debris field for the retrieval. He said that the names we found in the Yearbook for his crew were those who had joined him later, after these events. He said that his aircraft commander was Colonel William H. Harrison, and Harrison was certainly an aircraft commander at Roswell in the right time frame. But, when Sprouse called Harrison, he was told that he, Harrison, remembered very little. In fact, according to Sprouse, Harrison said, "‘I don’t remember, Milt, who you are.’ And he and I were friends because I was his crew chief for a heck of a long time. I flew all over the world with him... but I didn’t get to talk to his wife or nothing because he hung up on me after a while and I’ve never called him again because it was a waste of time because he didn’t know who I was and we had nothing to talk about in common." Second, while I have heard tales of newspapers printing flying saucer stories and that someone made an effort to recall all those newspapers, this is not something that had been associated with the Roswell case until now. It wasn’t effective because we have all seen the newspaper. I suppose they might have wanted to get it off the base to inhibit the soldiers talking about it and didn’t care what was left in the civilian community, but that makes no real sense. Finally, we have been unable to discover who the medic was. He’s just another unnamed source who might have been a staff sergeant at the time, and who might have been promoted to what was known as a technical sergeant (now known as either a platoon sergeant or a sergeant first class) but that doesn’t help us much. There are eleven men in those two grades in the Yearbook (one of the pages for the Medics seen below). Yes, it will take some time to check them out with no guarantee that anyone of them will be the right guy. Haut said that fifteen to twenty percent of the soldiers at Roswell were not included in the Yearbook for a variety of reasons. So, we are left with a second-hand story that might provide us with some clues about the Roswell case. We might be able to learn the name of Sprouse’s medic friend, then we might be able to find him, and he might still be alive. Of course the case is important enough that we should make these efforts. As I learn more about this, I will publish the results. Until then we have an interesting tale that might grow into something important. Without additional corroboration we will have to leave it at that. It might be of importance. And then again, maybe not. We talked about fakers a while ago, meaning people who have claimed to be things they are not. 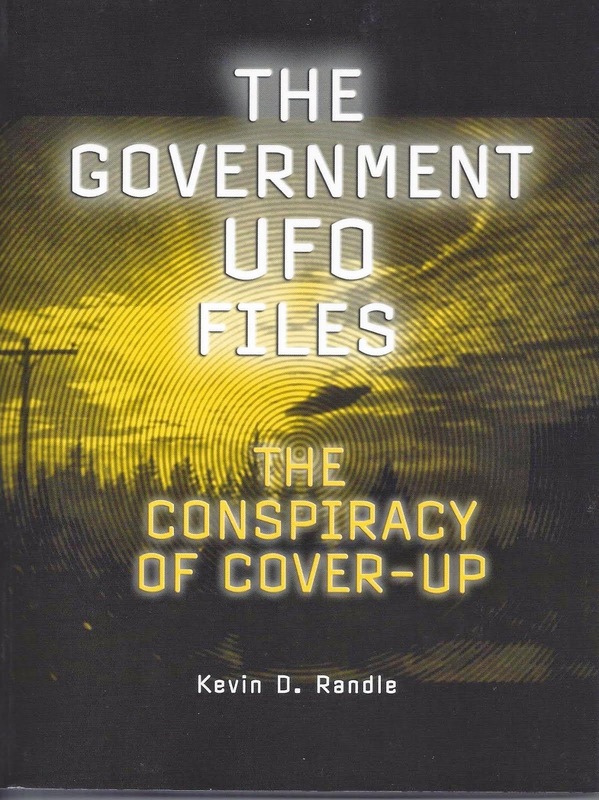 We have looked at UFO witnesses, researchers, advocates, and whistle blowers who used supposed military backgrounds or high levels of education to prove that what they say is true. What they tell us is often in conflict with what their records say and the apologists have excuses for that including that the government, in its all powerful, all knowing capability has been able to alter the records of those people to make them look bad. Now we have more evidence of fakers in our world. According to an article published in the Seattle Times and written by Jennifer Sullivan, Jesse MacBeth, 23, who claimed to be a decorated hero who fought in Iraq, who said he was an Army ranger, and who said that he had killed more than 200 people including some who were praying at a mosque, has been sentenced to jail from making false statements to the Department of Veteran Affairs. MacBeth had spoken at anti-war rallies and had appeared in an anti-war video that had been circulated on the Internet. It was learned that MacBeth had spent only six weeks in the Army at Fort Benning, and never completed basic training. He had claimed to be a corporal who had been awarded the Purple Heart. Yes, I know this has nothing to do directly with UFOs and the paranormal, but it does address, again, this growing trend to make up things, find a forum, and have your point of view published so that the world can see it. We don’t know how much damage this guy might have done and here I’m only thinking of the soldiers in the field in Iraq. We know these sorts of things are picked up and broadcast around the world and once the man, or woman, is exposed, that is not as actively reported. His false claims are out there for future generations to find and read and many times these are not linked to the stories exposing the faker. It tars his with lies all those who have served honorably. So now I have that off my chest, I’ll move this on to UFOs and paranormal phenomena. I saw, not long ago, an attempt to rehabilitate Philip Corso. He was the man who claimed to have been promoted to colonel after his retirement, though he had only served as a lieutenant colonel on active duty. His excuse was that he thought he had been promoted upon retirement though no evidence for that promotion had ever been offered. In this attempt, it was noted that the Congress, in the 1950s, had passed a law that gave officers in the Reserve a promotion on retirement to make up for the disparity of promotions while they served. Their counterparts on active duty were promoted faster. The problem is that the law didn’t apply to Corso. While he may have held a Reserve commission as opposed to a regular commission, he was serving on extended active duty. In other words, he was promoted as a member of the Active Component and not as a member of the Reserve. Here’s the difference. Reserve officers served one day a week for four hours and then were required to attend annual training for two weeks a year. Their rate of promotion, because of the limited time in training was longer than that of the soldiers on extended active duty. Note here, this is the situation in the 1950s when Corso was on active duty. Later it changed to one weekend a month made of four, four-hour training periods and, of course, the two weeks (fifteen days, actually) for annual tour. So, even though the law existed, it didn’t apply to Corso. This misunderstanding comes from those in the civilian world who don’t know the some of the terms and methods of the military. Reserve officers serve on extended active duty and are promoted with their fellows with regular commissions. In fact, officers often hold two ranks... that is the grade in which they serve and their permanent rank. So a colonel might hold the permanent rank of major and when released from active duty would revert to that permanent rank. There is one other problem here. Upon retirement, a soldier would retire in the highest grade held. At Roswell, in 1947, there was a master sergeant serving out his last year or so on active duty. During World War II, he had served as a brigadier general. 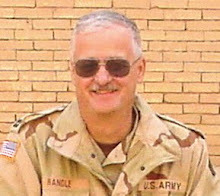 When he retired, he would retire as a brigadier general. And we haven’t even touched on bevet ranks, which were used quite a bit during the Civil War. George Custer was a captain until bevetted to brigadier general of volunteers. When the war ended, he should have reverted to captain but friends in high places secured him a commission as lieutenant colonel in the Seventh Cavalry, and we all know how well that worked out. When you get right down to the bottom line on this, an argument over the "real" rank of Corso isn’t of overwhelming importance and it could be argued that he made a simple mistake. This whole Reserve-Active thing with two different grades and types of commissions can be confusing to those of us who are involved in it, not to mention those outside the military. If we are concerned about the veracity of Corso, we can find our answer in other areas, including the slippery way that he got Senator Strom Thurmond to write an introduction for his Roswell book. When the book was released, Thurmond was outraged, saying that the book for which he had written an introduction was not the book that had been published. For those who wish to know more, look for Roswell Revisited from Galde Press (FATE magazine, PO Box 460, Lakeville, MN 55044) Chapter Seven. What this demonstrates is that we have people claiming to be soldiers who were not, but get publicity because they say the things people want to hear. MacBeth lied about his military experiences, but since he was anti-war, he was given a forum. Certainly not the first one to do this nor the first one to be exposed. And to the credit of the Seattle Times they exposed him as soon as they had the evidence. Corso bumped himself up a grade for no reason I can understand. All he had to do was admit the truth, say it was a mistake and carry on. Instead he decided to say that he had been promoted in the Reserve and when no evidence of that was found, his defenders began to look for other excuses. So now we come to me. 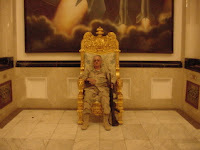 I have read, on the Internet, from a number of places, including an exopolitics and UFO site in Australia, that I look too fat to be a soldier (and they do publish a picture that makes me look fat) but they have also picked up a picture of me in uniform, sitting in the throne room of an ancient Babylon king. Since Babylon is in Iraq, this pretty much puts me into that conflict. But they ask exactly what my background is and I’m thinking that it’s a fair question. After all, I have said I was in the Army and in the Air Force and then in the National Guard. Seems like I am jumping all over the place. Unfortunately, I must now reveal that I entered active duty with the Army in July 1967 (more than forty years ago) having just graduated from high school about a month earlier. 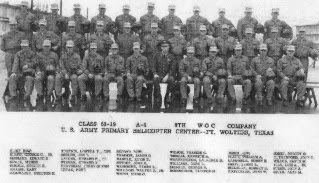 I went through basic training (which all soldiers do) and moved on to my advanced individual training, which, in my case was helicopter flight training (See below for picture of me with part of the flight school class). In August 1968, I finished flight school, was discharged from the Regular Army, appointed a warrant officer in the Reserve and immediately called to active duty (and yes, that’s how they did it with nearly all of us who went through the warrant officer flight program. In my class only one pilot was assigned duty other than Vietnam and that was because his brother, also in that class, was going to Vietnam with the rest of us). In September 1968 I was sent to Vietnam (See below for a picture of me at Cu Chi, RVN) and in September 1969, I returned home. I spent another two years on active duty and then was honorably discharged. I moved to Iowa, joined the Iowa National Guard as a helicopter pilot and began attending the University of Iowa. I learned that the Air Force was looking for men (at that time, women did not receive flight training) to teach to fly jets. It sounded like a good idea so I joined Air Force ROTC, which, by law, meant I had to sever my association with the National Guard. I was taken into the Air Forc e Reserve as an enlisted man (which was the custom at the time) and began the training. About the time we all were to graduate, we were told that the Air Force was experiencing a reduction in force (RIF, for those you like acronyms) and we were told that few of us would receive slots for pilot training but we could all take our commissions or not, as the mood moved us. I took mine and waited for a pilot slot to open. I learned it would be more than two years, but there was another choice. I could serve 90 days of active duty and that would be it. Well, I didn’t want to get my life in order for two years and then the Air Force turn it upside down, so I opted for the 90 days. At the conclusion, I was offered a job with the Reserve unit and I took that, entering into the Air Force Reserve. Eventually, I was promoted (on schedule) and reached captain. Finally, I finished with that, entered what is known as the Inactive Ready Reserve (IRR) and was eventually discharged, honorably. After more than 14 years of active and reserve duty for retirement purposes but with more than 23 years of overall service (yes, this is another confusing mess created by military regulations and their attempts to calculate retirement points), I had little connection to the military. Then came 9/11. I had completed some advanced education including a MA in Military Studies with an emphasis in Intelligence and I believed I could offer some sort of help. I talked to the Army first, for some reason wishing to rejoin it. I talked to the Army Reserve and the National Guard and while they both were enthusiastic, they didn’t get very far. I talked to the Air Force, but they were less than impressed. I even talked with the Navy, thinking I hadn’t been in the Navy yet. Nothing seemed to work well. I was offered the chance to join the National Guard, as a sergeant rather than a captain, but I wasn’t too keen on that idea. F inally, I was offered a commission as a captain in the Iowa National Guard and accepted it. Less than four months later that unit was called to active duty and three months after that, we were on our way to Kuwait and then Iraq. 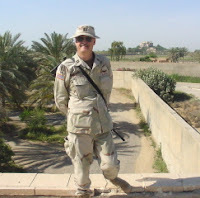 I spent over eleven months in theater before we were rotated home (See left for picture of me sitting in Saddam's chair in the Green Zone and below for me staninding on top of a building at the Baghdad International Airport). From that point, I spent another three months on active duty as the OIC (Officer in Charge) of the redeployment effort. About a year later I was promoted to major and continue my service in the National Guard with various calls to active duty for short periods. I will point out here that I do have an appointment as a major general in the State Guard Association of the United States, the same organization to which Stephen Lovekin belongs. 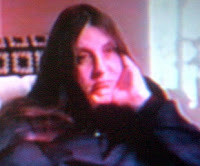 I belong to the Science Fiction and Fantasy Writers of America and have published science fiction stories and books. I mention all this because I have criticized the Disclosure Project and Michael Salla of Exopolitics fame for not vett ing their witnesses, believing that the vetting process would solve many of their problems. If you build a structure based on the stories told by these witnesses and some of them are inventing their tales, then your structure is flawed. If you don’t understand the backgrounds, then you can make mistakes. But, if I am going to criticize the backgrounds of these people, then I should be willing to provide some information about my background. It is one thing to sit on the sidelines and snipe and it is something else to jump into the fight. I will note one other thing. Sometimes others make mistakes for you. On my first UFO book, the editor identified me as a captain, USAF (Ret). That was his mistake. He had seen my name saying, Captain USAFR and thought the "R" was for retired, not realizing it was for Reserve. Someone wrote a long article explaining that I had lied about this and there was no way that I could be retired. Forgetting for a moment that I had joined the Army in 1967 and this article was written in 1989 (which meant that I could have retired after twenty years), I wrote to him explaining the mistake. He seemed to have accepted this because he didn’t publish the article. This just proves that mistakes are made, often by those who don’t know the military very well. Corso could have said that the publisher had made a mistake with his rank and we all would have nodded and said, "Happens all the time," but instead he made up an excuse. Then, to compound it, another excuse was invented, mentioning a public law that was irrelevant to the discussion. All of this simply cast a shadow over Corso and his inclusion in the Disclosure materials. And once again, we reach the main point here. There are fakers out there who claim military service when they have had little or none. They claim medals they didn’t earn and ranks they didn’t obtain. There are those who claim to be colonels in mythical organizations as if this somehow improves their credibility. Until recently, there wasn’t much that could be done. Now, there are various new laws and some of these people are being prosecuted. We, in the UFO community, have enough problems that we don’t need to get mixed up in these little fights. All we need to do is check the information as best we can. Sometimes we do make mistakes (and do I really have to mention Frank Kaufmann here?) and we should correct those when made. What we don’t need to do is to defend those who have lied to us, reach for explanations that don’t apply, and continue to hang on in the face of new information. Maybe we can learn something from the Seattle Times. I hope that we do, but I have been around the UFO field long enough to know that we won’t.